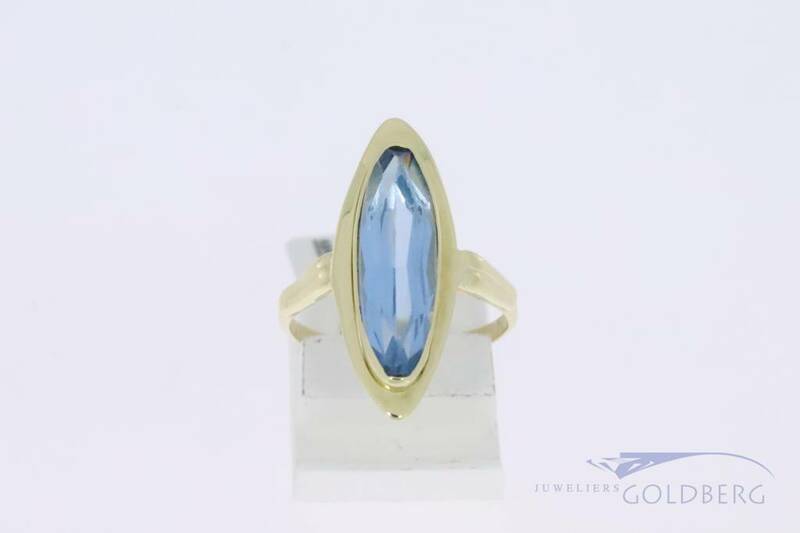 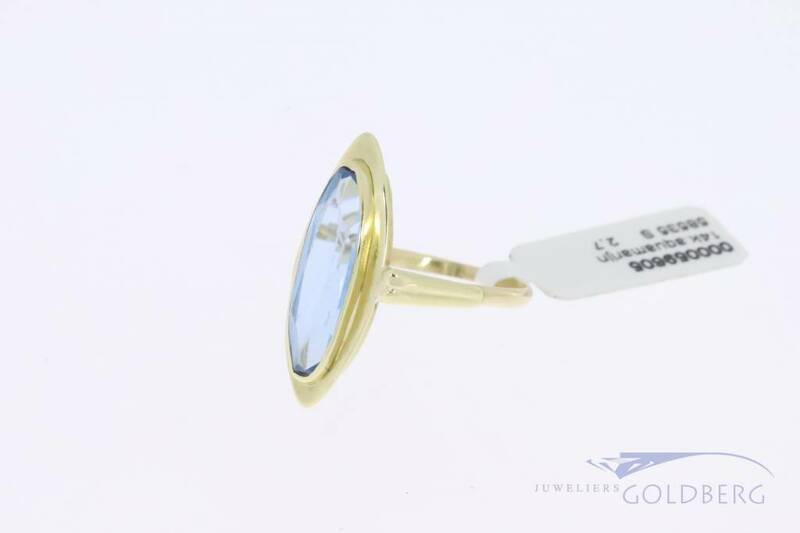 Classic 14 carat gold marquise shaped vintage ring with synthetic spinel (aquamarine color). 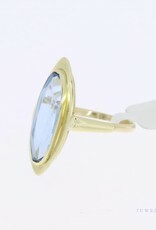 The ring is 23mm long at the top. 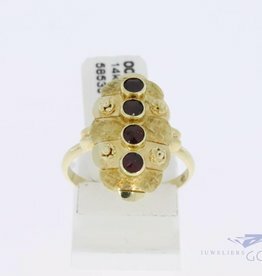 The ring was once been broken and has two soldering points where it was restored, as is visible on the photo. 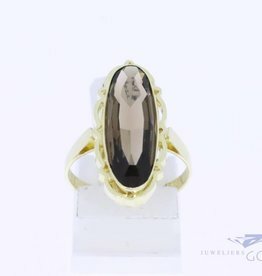 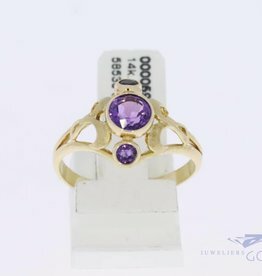 The ring is not perfectly symmetrical from the side (hence the low price). 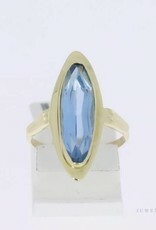 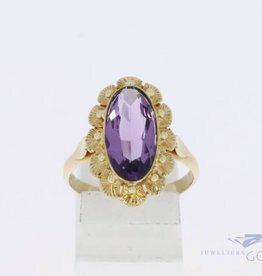 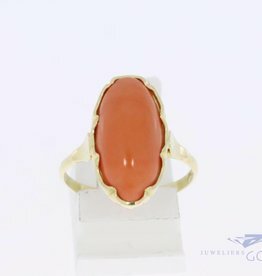 The ring size is 16.5 (52). 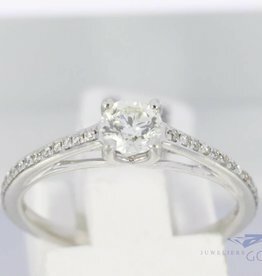 The ring can be custom sized per special request.